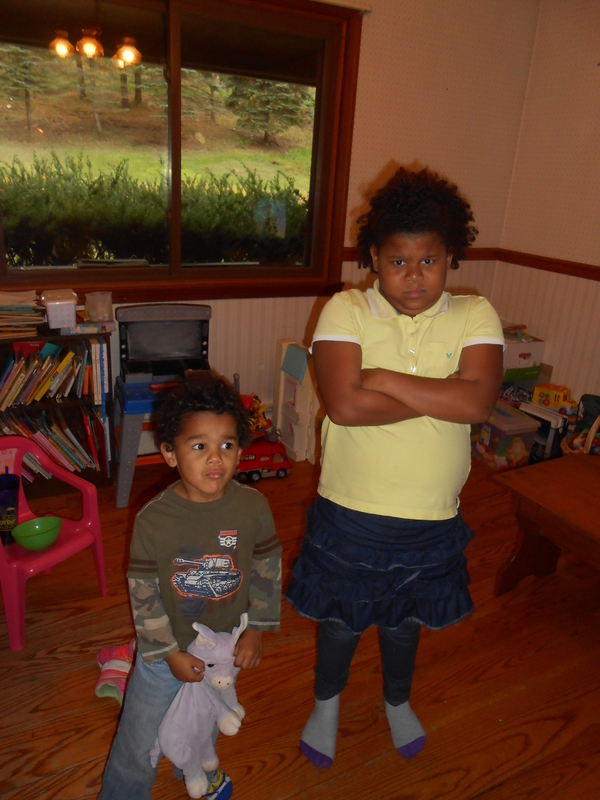 Initially I was going to name this blog “Round Two,” but this is more like our third round of raising children. We started in 1979, and in the past thirty five years, opinions and techniques concerning child-rearing have changed many, many times. I raised our children how my parents raised me. My Mom and Dad were loving but firm, with a definite set of rules. We were told what to do and expected to obey. My sister, two brothers and me knew those rules and knew the consequences of disobedience. “The Board of Education” was applied to our “seat of understanding”. Our spanks were never unexpected, or cruel. I knew my brothers and I earned the spanks we received. My sister was the good one in the family. She never disobeyed-honestly. What I don’t remember was being complimented by my parents when I obeyed. Statements like, “Good choice” or “Thank you for obeying,” never came out of their mouths when we complied with their orders. I raised our children the same way when they were young. My husband, with his Masters of Education, often reminded me kids want attention. “They’ll take it however they can get it, negative or positive.” So as our children got older, we praised them a little more. “Good job,” and “I’m proud of you” was said more often, though I’m sure I missed many opportunities to encourage our kids. It is now almost three decades since I’ve raised a two year old. I’ve been observing my daughter, Amber, mother of four, and some other young moms. I decided to follow their lead. And it works. It’s amazing how Isaac’s eyes light up when I praise him after he chooses to obey. And an extra bonus—I’ve noticed he‘s much more likely to comply the next time. The same can be said for Katrena. She absolutely glows and pulls us in close for a hug when we tell her we are proud of her. She also tries harder when we point out any chore she’s done well. So these old dogs are learning some new tricks. It’s not easy. I have a lot old habits to break. Some days I remember to encourage and heap on praise and other days I fail miserably. Frustration with repeated disobedience and defiance puts me over the edge. I fail to find positive aspects of their behavior and it all falls apart. At that point I revert back to my old ways. Suffice it to say, I am not encouraging. Then an incredible thing usually happens. I feel little arms around me and hear a sweet high voice. “I want to hold you,” is the plea. Tears follow. Mine more than theirs. We hug, we kiss and we apologize. I learned many years ago if you want to know what you sound like, listen to your kids. They usually repeat everything you say, with the same tone of voice and posture. I got that opportunity a few months ago. In a large public restroom. Isaac was in the stall with me when he loudly praised my efforts. “Good job, Grandma. That’s a good poopie.” I could hear snickers throughout the restroom. When the embarrassment faded I wondered if we had really encouraged him enough times that he would echo it back to me. Not long ago, he treated my husband to the same type of encouragement in the men’s room. My prayer: Dear God, Thank you for loving me regardless of my faults. Help me show the same unconditional love to my grandchildren. Remind me to use words of encouragement and focus on their positive attributes and accomplishments especially when I feel my efforts are futile. Of course I laughed out loud at the end! Nice writing my friend. I enjoy your easy style! You have a good voice! Thanks. It helps to see the humor in even the most embarrassing situations, right?